Ashford aftermarket alloy wheel is exclusively made for Jaguar vehicles. 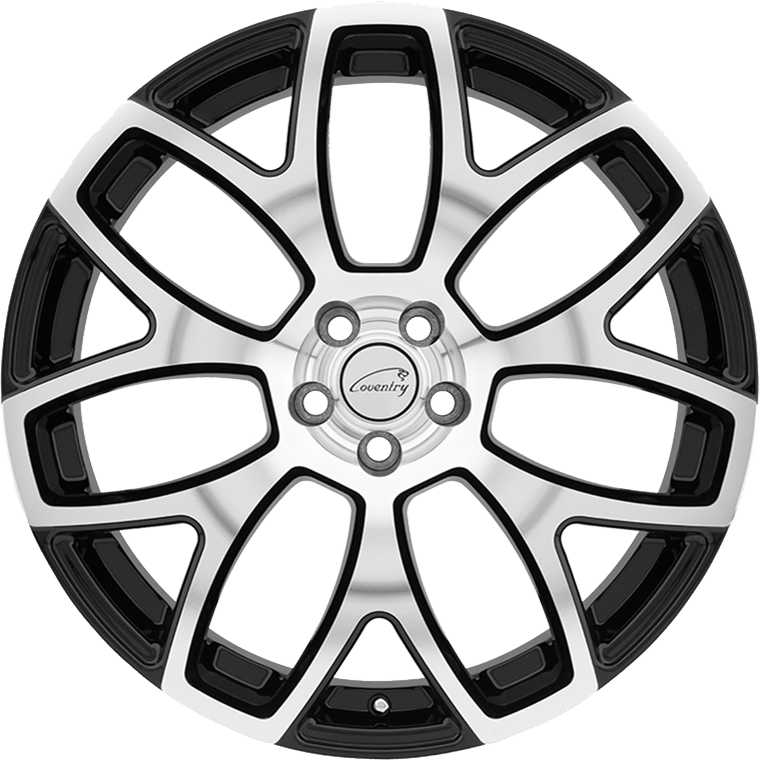 The Ashford aftermarket alloy wheel is exclusively made for Jaguar vehicles. Designers at Coventry took careful field studies on the body lines and form language of the British performance machines to create a the perfect mesh wheel to match. Seven proudly pronounced windows form the mesh shaped after details found in Jaguar’s grills and is accentuated by a two tone finish. The Ashford Rotary Forged® Wheel /RF™ Wheel is manufactured using a highly advanced production technique called Rotary Forging® /RF™. The rim of the wheels is forged at high pressure while the wheel is spun at high speed. This alters the molecular structure and enhances the strength of the alloy. The benefit is a much lighter weight than a regular cast wheel. Most importantly, the weight saving is in the outer rim of the wheel which dramatically reduces rotational mass and enhances vehicle performance.